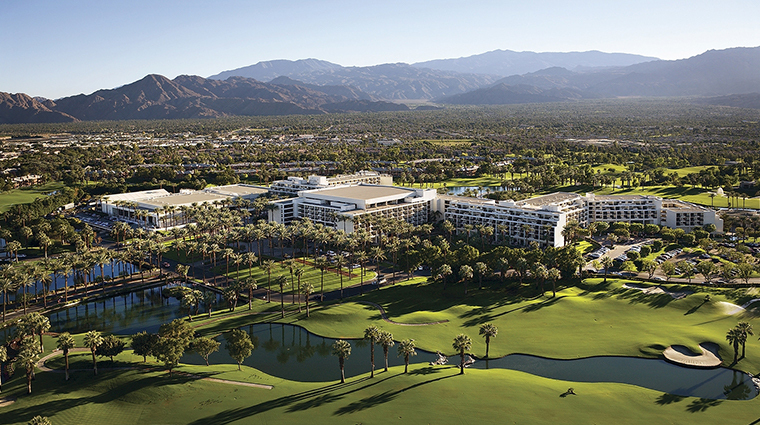 Palm tree-lined paths, freshwater lakes and rolling green golf courses set the scene as you approach the JW Marriott Desert Springs Resort & Spa, one of the Coachella Valley’s largest resorts. Beyond, you'll find plenty of tennis courts (clay, grass and hard are all represented) and two Ted Robinson-designed golf courses, which provide challenges with the architect’s signature waterscapes. A 38,000-square-foot spa offers head-to-toe pampering, while the resort’s shopping alley is home to everything from resort wear to gourmet chocolates. Three full-service restaurants provide indoor and outdoor dining, with cuisine ranging from American to Japanese. 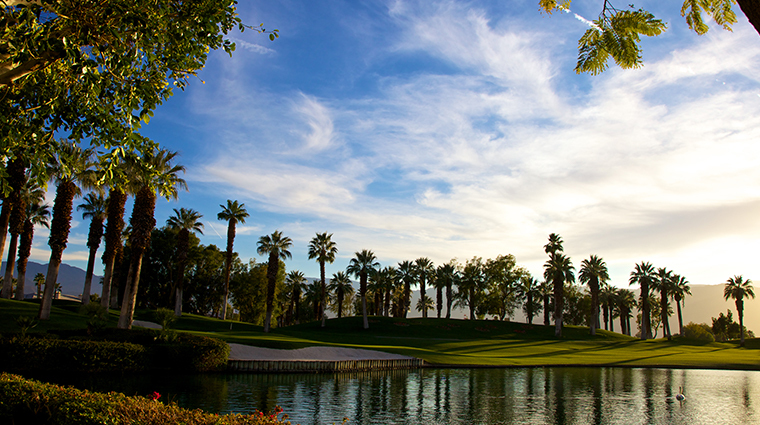 How you soak up the striking desert views is up to you: you can enjoy Pacific swordfish alfresco at Fisherman’s Landing, book an early morning tee time to watch the sun rise over the greens or take a gondola ride around the waters with swans and flamingos at your side. 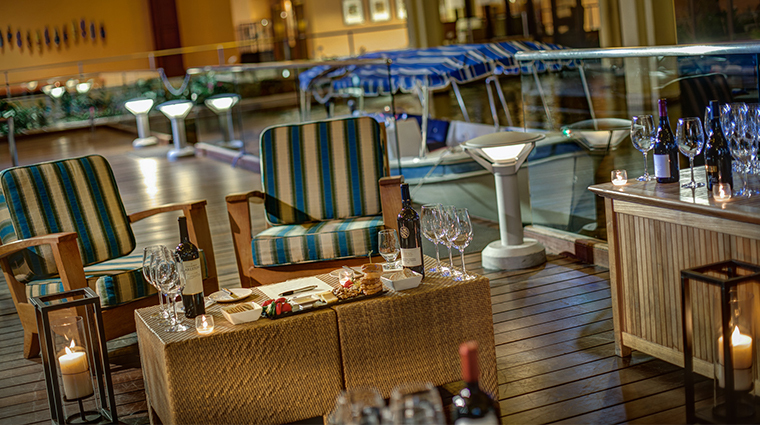 Relaxing on your private balcony is always an option, too. 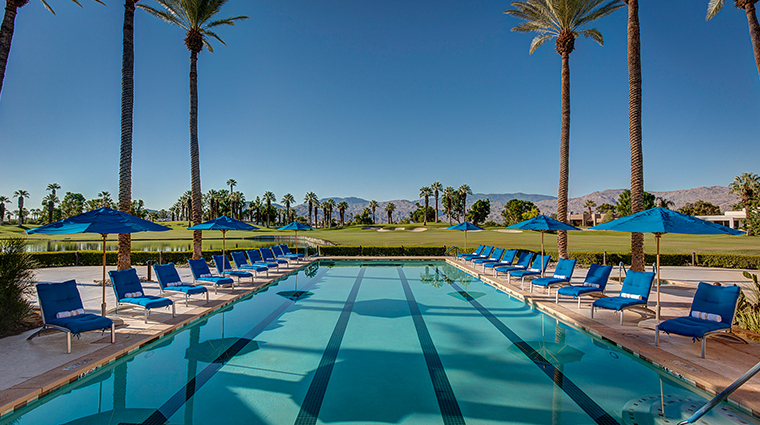 Every room at the Palm Desert hotel provides a private balcony for enjoying the striking desert sunsets. 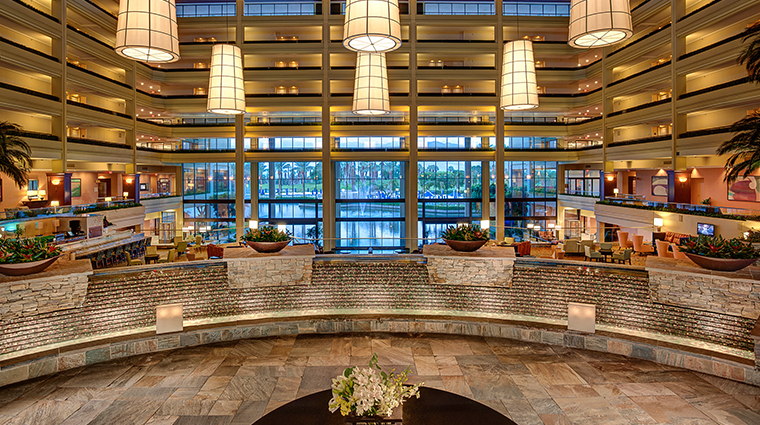 The lobby is actually a 30,000-square-foot atrium, home to exotic birds, Venetian-inspired waterways and a glass mosaic water wall. 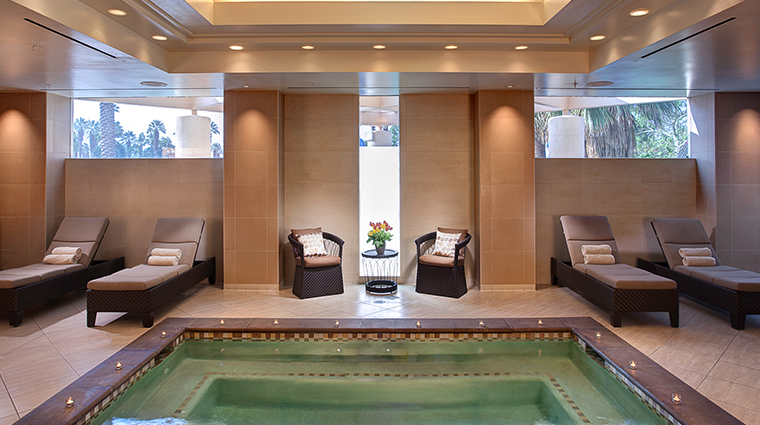 Be sure to book some time in the hotel’s massive 38,000 square foot spa featuring 48 separate spa treatment rooms, a saltwater pool and a beauty salon. 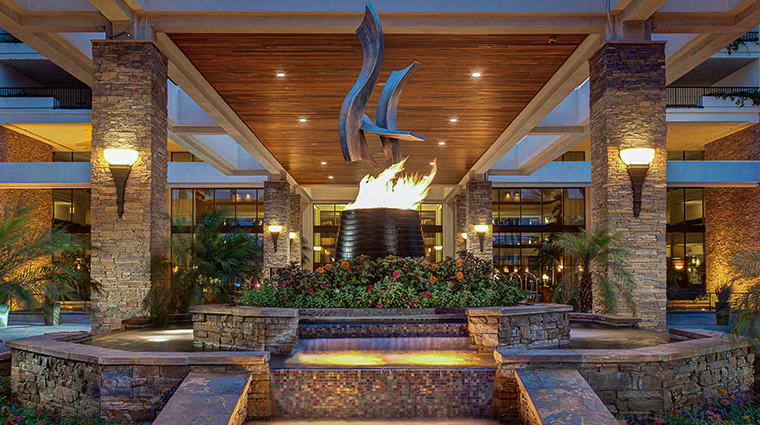 The hotel aims to highlight the natural beauty of the surrounding landscape, like the large glass windows in the lobby that reveal the green lawns, towering palm trees and red mountains that surround the resort while a sprinkling of lakes and other water features create visuals you wouldn’t expect to see in the desert. 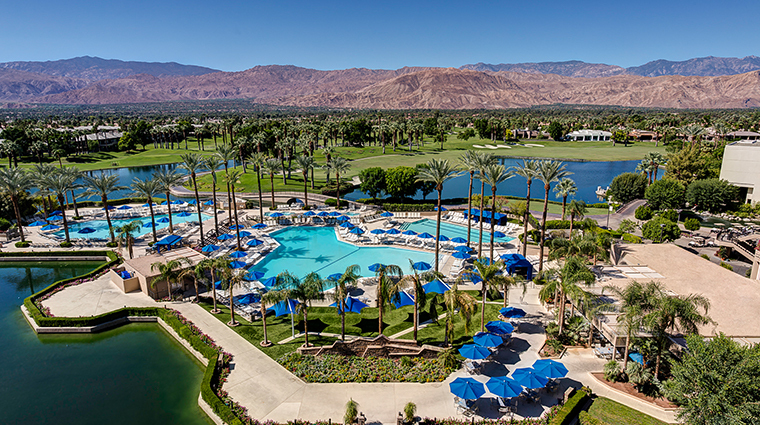 The desert resort occupies an ideal location just 25 minutes from Palm Springs, 10 minutes from shopping and dining district El Paseo and 20 minutes from The Living Desert and the Children’s Discovery Museum of the Desert. Tennis aficionados might want to visit during March, when the BNP Paribas Open comes to the nearby Indian Wells Tennis Garden. 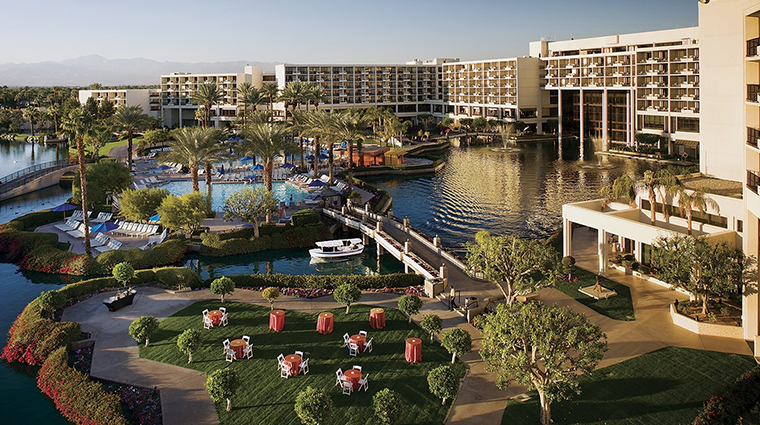 During the tournament, you may catch a few professional tennis players practicing on the Palm Desert hotel’s courts. The indoor spa makes for a great destination all year round, but try to avoid visiting in August if you’re planning on spending much time outdoors; temperatures soar into the triple digits in late summer. 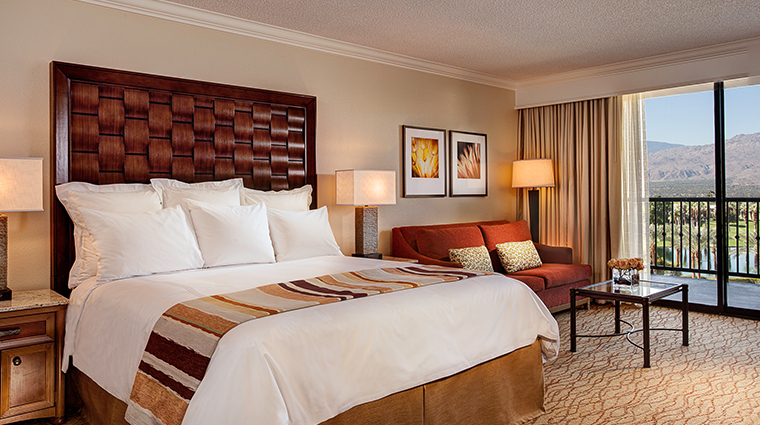 The rooms at JW Marriott Desert Springs Resort & Spa perfectly complement the views of the Santa Rosa Mountains with sand-colored drapes and red-brown accent chairs. Rooms include woven mahogany headboards and granite-topped bedside tables, as well as a bathroom with limestone floors and tubs. Patterned carpets add a playful element to the rooms at the JW Marriott Desert Springs, while flat-screen TVs and iPod clock radios provide modern comfort. In addition to regular guest rooms, the resort offers five different suite options, ranging from 560-square-foot executive suites to 1638-square-foot chairman’s suites. 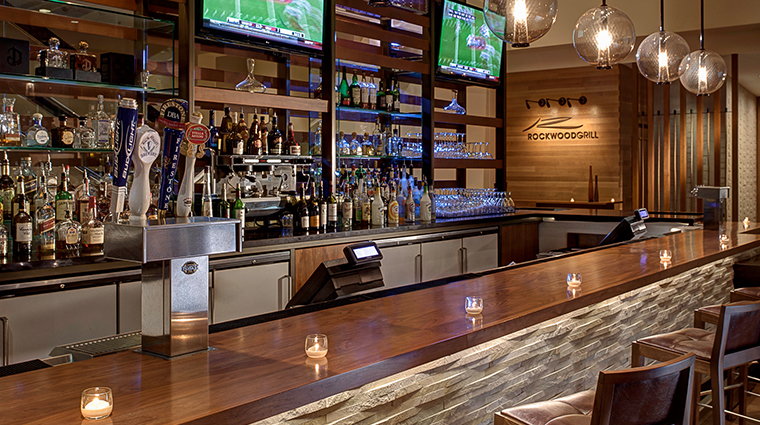 Rockwood Grill’s purple, green and wood-accented dining room serves contemporary American cuisine made from scratch with locally sourced ingredients. For dinner and a show, you can dine teppanyaki-style at Mikado Japanese Steakhouse, where the chef prepares steak, seafood and vegetables with the dining table as his stage. If you’re in the mood for more seafood, Fisherman’s Landing offers fresh lobster tails, fried oyster buckets and mahi mahi tacos. Two lobby bars, the L Bar and Sushi Bar, also offer libations and freshly sliced sashimi for more casual fare. After dinner, the Blue Star Lounge is the perfect setting to enjoy a couple of cocktails or craft beers.